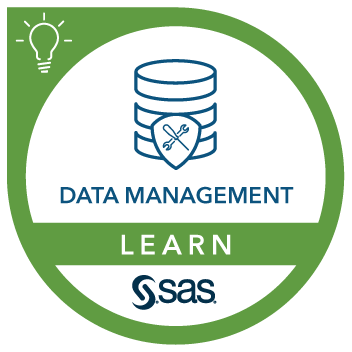 This course provides an overview of the analytic data preparation capabilities of SAS Data Preparation in SAS Viya. These self-service data preparation capabilities include bringing data in from a variety of sources, preparing and cleansing the data to be fit for purpose, analyzing data for better understanding and governance, and sharing the data with others to promote collaboration and operational use. create and schedule repeatable workflows to automate time-consuming data preparation tasks. This course addresses SAS Viya software.